– 67% of podcast listeners don’t mind ads compared to only 6% liking advertising in television or radio. 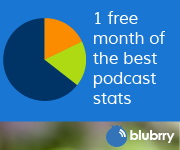 – The percentage of Americans who have ever watched or listened to a podcast is 45% this is around 70 million potential listeners in the US only. – Podcast listeners/viewers continue to prefer consuming content at their desktop, not on dedicated media players, but mobile phone media consumption is surging. – Two-thirds of podcast consumers have listened to digital audio files in their vehicles by connecting a mobile device (iPhone, Android, Windows Phone, iPad, tablet or ipod) to their car audio system. NMX/NAB – Best podcast event ever! 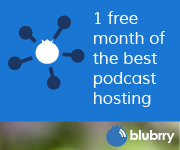 This will be the year of the Story-telling podcast copy-cat. Like 2014 was the year of the Entrepreneur podcast. Soundcloud will be sold and their Podcasting “Beta” program will be turned off. Tim of WPMasterdesign.com asked about if he should have his podcast run from his main website or should he set it up on another website.